As a composer for video games myself, you can only imagine I was very happy to be assigned to the review for Music Maker Jam by MAGIX Audio GmbH. Knowing that some DJ’s even use the app in their live performances, I was thrilled to check it out. 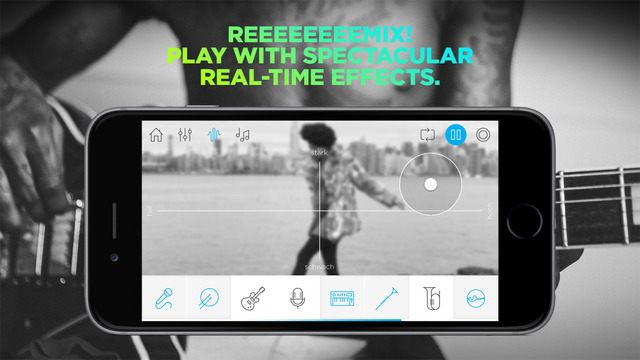 Of course the app market is already heavily saturated with music apps, from tuning instruments to full remix workstations you can find them all. Not all of them come in such diversity and quality as Music Maker Jam, however. Before diving into the mixers, effects and loops I found myself astounded with the sheer size of the library in Music Maker Jam. 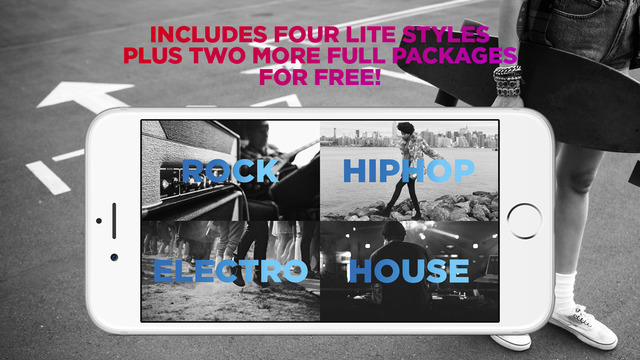 MAGIX Audio GmbH generously offers two free downloads from the library in addition to the already pre-installed loop packs found in the app. This means you can sort through the library and find something that you like to start working with. The size of these packs are really big, though. Keep that in mind. Do you want to mix some sweet Drum and Bass or are you going for a cinematic, movie-style trailer sound? There really is something for everyone and audio veterans will find themselves coming back purchasing additional material for their mixes sooner or later. 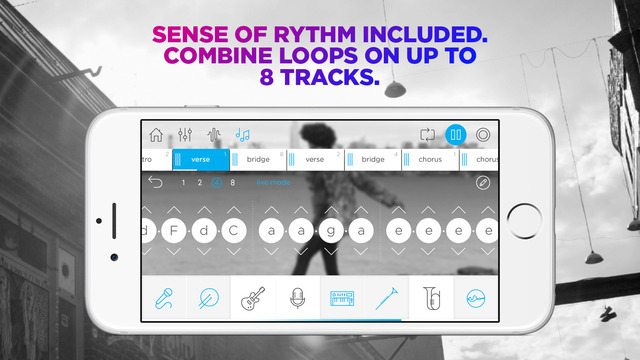 The amazing quality of the loops provided are enough reason to believe why it would be so interesting to use the app in live performances. Talking about performance, how does one go about creating their own songs? 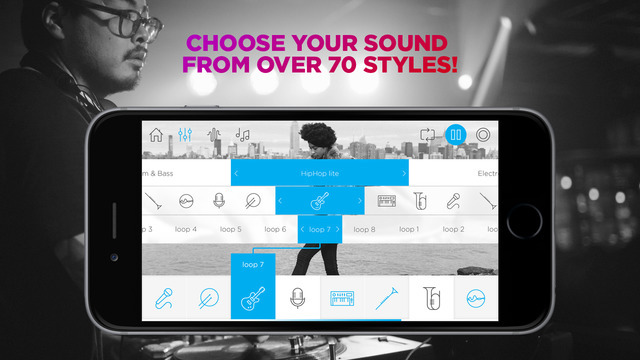 When I started up my first project to start looping sounds, I immediately saw the app is really user-friendly. A quick and intuitive interface on the right takes care of almost everything you would need, ranging from the BPM (Beats per minute) to volume and effects. Down the bottom where the first measure of your song is already placed you can add instruments with relative ease and even swipe them from left to right for altering loops. There’s also the option to change the key you’re currently in and an option to play with the harmony, changing the actual melody of pitched loops. To my disappointment it’s impossible to alter the harmony to each individual loop, taking away a big chunk of personality and freedom in your mixes. You’ll find you get the hang of the app very fast and with social integration you can post your songs to Soundcloud and Facebook as well! 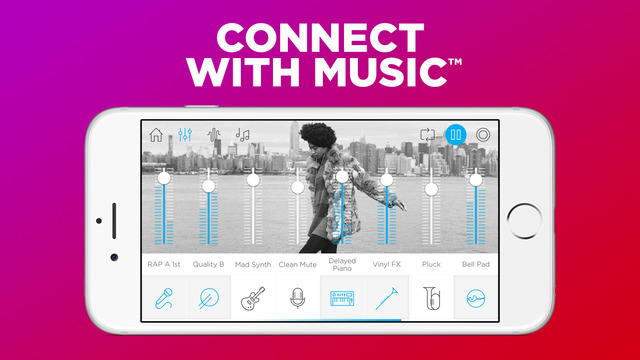 If you’re looking for a great way to mess around with sounds, Music Maker Jam is certainly something to look out for!